Part 2: What’s your endgame? Coaches get hired to help people get clear about their goals and then take action steps to achieve them. Unfortunately, many coaches could probably use a coach themselves when it comes to the actions they take to build their practices. When you have an end game, it clarifies why you’re taking any sort of action and helps you steer clear of doing things that aren’t going to help you achieve your goals. How does this apply to complimentary sessions? Well, I think it’s something that most coaches do. They emblazon “Schedule a Free 30-minute session with me…” on everything from their Instagram to their business card. They do it because that’s what all coaches do. But almost no coaches have a clear endgame for their business when it comes to doing them. I don’t have a problem with complimentary sessions. I think they can open very powerful and profitable doors for your coaching practice. I just don’t think most coaches are getting the most out of them, and they become something that coaches do that don’t translate to building your business like they could. So, let’s talk about your endgame when it comes to any complimentary coaching session. The result I want to come out of a complimentary session. I’m going to help you here by giving you 3 possible results that should help you define success. I don’t know that there has to be more than 3, but if you strive for 2 out of these 3 results in every complimentary session, you won’t be lacking in business. Result #1: Sign a new client. This should be the most obvious reason why we’d give a complimentary session to begin with, but you wouldn’t believe how many coaches will give a complimentary session just because someone filled out a form on a website. In last week’s blog, I said that you should never give a session to an individual that’s not your ideal client. One of the characteristics of an ideal clients is they who would actually sign the dotted line to become a paid client. This is not someone with vague notion about coaching who’s simply doing you a favor and agreeing to a free session. This is someone who is potentially a committed client. Furthermore, it means that the complimentary session is almost a formality to getting them to enter into a coaching relationship with you. All you have to do is give them a powerful, validating experience of what your coaching can do for them. In Jumpstart, we actually show our coaches a process we call “The Explosive First Coaching Session.” It’s possible (because our students do it all the time) to bring an interested, potential client into such an experience of breakthrough followed by action steps, that you so clearly demonstrate that you can help them, it’s a no-brainer for them to sign up. 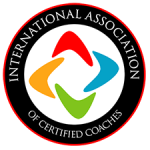 If you’ve read more than 1 or 2 of my blogs, you’ve probably heard me say, “You can’t sell coaching because no one understands what coaching is.” It’s intangible. What you’re doing in a complimentary session is you’re actually making it tangible for the potential client. It happens through experience. I’ll never forget when I was starting out as a coach, an individual contacted me from out of state and wanted a complimentary session. When I called them back, I wasn’t really convinced that this person was even coachable. They had no clue what coaching was, and they seemed so non-committal about doing anything involving money. “It’s a free session, right?” she said. I perceived she wasn’t really serious about coaching, but I was just starting out and didn’t know how to say “no,” so I scheduled the appointment. When the day arrived, the session was conducted by phone, and I wasn’t convinced that I was that great, though I could say we walked away with some clear action items. The best part? She signed up immediately. That’s what the complimentary session is supposed to do: convince a potential client that you can help them get the results they desire. If you’re going to build your business, this has to be your primary result. Your #1 objective for a complimentary session must be to actually sign a client. With that end goal in mind, it requires you to have a plan for transitioning the close of the session to asking the individual to become a client. Have a plan for followup within 3 days if you don’t sign them immediately after the session. It’s really important that you don’t get so afraid of rejection that you fail to ask. You’ve done all this work to get someone in front of you. This is not a free session; it cost you something. And It was valuable to the potential client. Take the next step, and ask them to sign up. Result #2: Get a referral. When I said that you need to get at least 2 out of the 3 results for every complimentary session, this next one is a must. We don’t sign everyone that we give a session to, but we can still achieve a valuable goal that will pay dividends for our business later. There is no better person to market our services than someone who has experienced our coaching first hand. Again, you are not in the position of a beggar. You gave a valuable, no-strings-attached, powerful coaching session. You respected them and didn’t try to squeeze them to sign an agreement. Don’t be afraid of this ask. It’s not awkward at all. In fact, from the perspective of the potential client, they may actually be the one feeling awkward because they just got something amazing from you, and they didn’t pay for it. Now they want to help you or even make it up to you. So, give them the opportunity to reciprocate. Tell them specifically what kinds of people you want to work with and what kinds of problems that you like to help people solve. Also, tell them specifically how you’d like them to introduce you to the two people that come to mind. Listen: word of mouth is the most powerful advertising that exists, because people want to do business with people they know and trust. When they don’t know someone personally who can help them, they look to their existing relationships for recommendations. Coaches with successful coaching practices have built a momentum through referral business. When I first started as a coach, I gave out about 15 complimentary sessions. One of those people from so many years ago opened the door to a new client about a year and a half ago. I never got a dime from the person who got the original free session, but, years later, that individual still thought of me when a friend of hers was in need of a solution that I specialize in. That’s how these complimentary sessions keep working for you. Result #3: Get a Testimonial. Particularly, when you’re starting out as a coach, you don’t have a lot of results to show people. You don’t have a lot of stories to tell. That’s why every person you work with – whether they become a paying client or not – are a candidate to give you a testimonial. Again, people are looking for some way to reciprocate. This is the easiest of the 3 results that you can get and another “must get” from every complimentary session that you offer. It doesn’t have to be long. Simply ask the individual if you can get 3-5 sentences with the specifics on how your coaching benefited them. Do your best to tell them how to construct the testimonial. You want their language to match your marketing. I don’t mean they use the exact same words, but they should be able to describe the kinds of results that your coaching helped them achieve. Next week, we’re going to start focusing on how you pre-qualify potential clients before you ever sit down with them.